In my first year of undergrad, I was deeply offended by a dismissive sentence in my English lit textbook, setting aside all ‘genre fiction’ — mysteries, science fiction, fantasy, horror — as not being for the literati or being great, interpretive, artistic literature. It’s been 15 years, so I honestly don’t recall the wording. But something to that effect. I was offended, of course, because I was 18 and a science fiction and fantasy fan, and all 18-year-olds are easily offended by people who challenge the stuff they like. Nonetheless, even if a lot of SF is pure escape (which may still be art, after all), a lot of it is also great literature. If only more people read it! I am slowly, one story every once in a while, working my way through Ray Bradbury, Stories, Vol. 1. Whenever anyone disregards the entire genre of science fiction, dismisses it with a sniff, looks down his’er nose at it in scorn, I think fondly on Ray Bradbury and his poetic science fiction. This morning, I read his story ‘No Particular Night or Morning’. This is a snapshot of life aboard a rocket ship in the vast emptiness between the stars. One character, Hitchcock, has started to lose his grip on reality. If he can’t see it, can he know it’s real? Does earth exist — has it ever existed? The sun? Yesterday? Soon, he begins to doubt the very fabric of the present moment. Are the people in the next room real? Is his friend Clemens, standing in front of him, real? How can Clemens prove his reality to Hitchcock? One of the things that makes good science fiction very good is when it is a story that needs its imagined context. That’s a tall order at times. One could imagine a similar story to this aboard a sea vessel. Yet in the sea there is still day and night. In space, there is nothing but an endless night. The psychological effects of long-term, interplanetary space travel would probably be grievous. But they are rarely explored in the staples of our SF diet, not in Star Trek, barely in Battlestar Galactica. You can read this story as just a psychological thrill, the horror of deep space. But it penetrates to one of the big questions of human existence, interstellar or earthbound. Ray Bradbury thus brings us from simple entertainment to the horrors of our own inner life, into the realm of psychology, philosophy, theology. This is the sub-branch of philosophy called epistemiology. 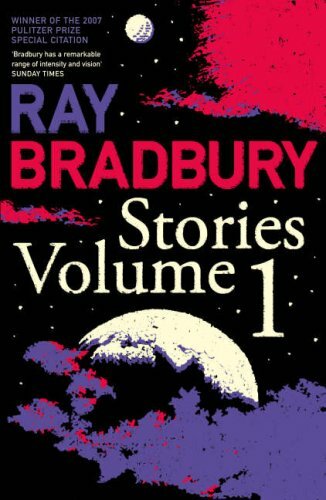 This entry was posted in Books, Literature, Philosophy, Science Fiction and Fantasy and tagged art fiction, epistemiology, no particular night or morning, ray bradbury, what is real, what is truth on May 13, 2017 by MJH.